Behind a six-inning, eight-strikeout outing from starter Drew Hutchison and two home runs from lead-off hitter Thairo Estrada, the Scranton/Wilkes Barre RailRiders defeated the Buffalo Bisons, 10-4, in the third game of a four-game series Saturday at PNC Field. 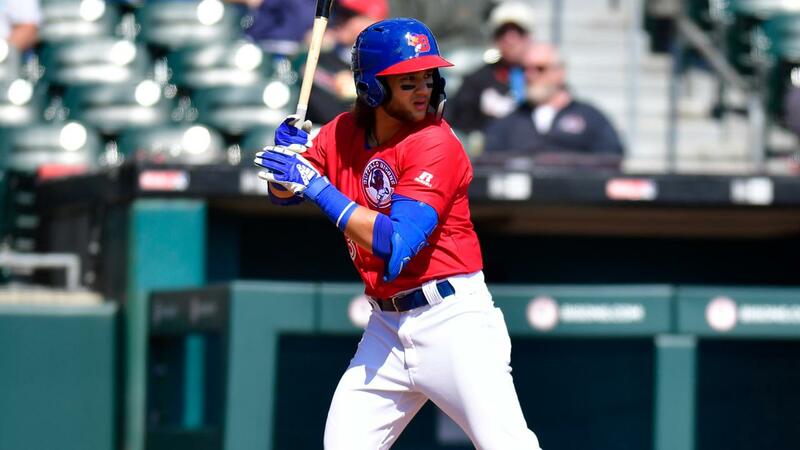 Bo Bichette's three-hit game and first Triple-A home run couldn't prevent the Herd from losing their fouth straight to the RailRiders. The Bisons had a chance to make an early jump against Hutchison in the second inning when a base hit from Cavan Biggio followed by back-to-back walks to Jordan Patterson and Reese McGuire loaded the bases. But Hutchison, a three-stint Bison earlier this decade, dealt a strikeout to Gunnar Heit the next at bat, starting a streak of 10 retired batters through the first out of the fifth inning. Hutchison finished the day giving up two hits with four walks and 54 of his 89 pitches were strikes. The Bisons found success at the plate starting in the seventh inning against David Sosebee when center fielder Roemon Fields hit an RBI triple to bring home Andrew Guillotte followed by a two-run home run from Bo Bichette, his first as a Bison, to cut the deficit to 7-3. The pair teamed up again in the ninth inning when Fields hit a double to center followed by Bichette's RBI single (3 of 5, 3 RBI) but the score was by then 10-4. The RailRiders countered in the bottom half of the frame with, in addition to Estrada's home run, McBroom and Zack Zehnerscored runs. Bisons pitcher Jordan Romano suffered the defeat in his first start of the season. After retiring four of his first six batters, Romano lasted just 2.1 innings after giving up a two-run double to Billy Burns in the second inning, followed by a two-run home run from Gosuke Katoh that gave Scranton/Wilkes-Barre a 4-0 lead. The home run came one pitch after Mandy Alvarez worked a 12 pitch at-bat off Romano and hit a double to left field. Romano finished with a stat-line of four runs on four hits with four strikeouts and threw 41 strikes on 63 pitches. The RailRiders extended their lead in the next at-bat with a solo home run from Ryan McBroom off of reliever Conor Fisk to take a 5-0 lead. Fisk kept the Bisons in the game after the home run, allowing four more hits and two strikeouts in 2.2 innings, throwing 35 strikes out of 53 pitches. The Herd wrap up their series against the RailRiders tomorrow afternoon at 1:05 PM at PNC Field. David Paulino will take the mound and face Gio Gonzalez.